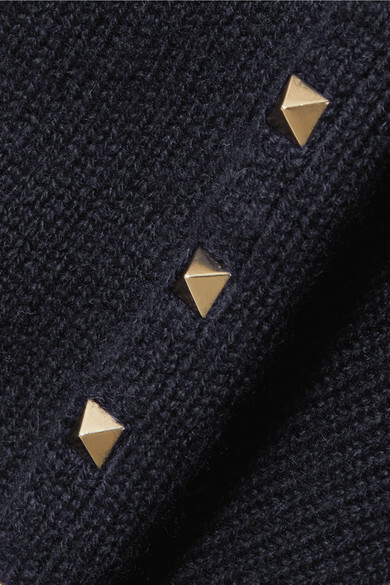 Valentino's sweater may seem like a classic knit from afar, but look a little closer and you'll spot the label's signature gold 'Rockstuds' tracing the sides. 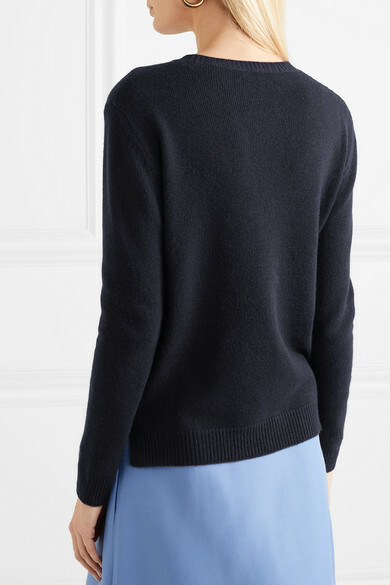 This elegant piece is spun from cashmere that feels wonderfully soft and really warm, too. Slip it on with everything from skirts to tailored pants. 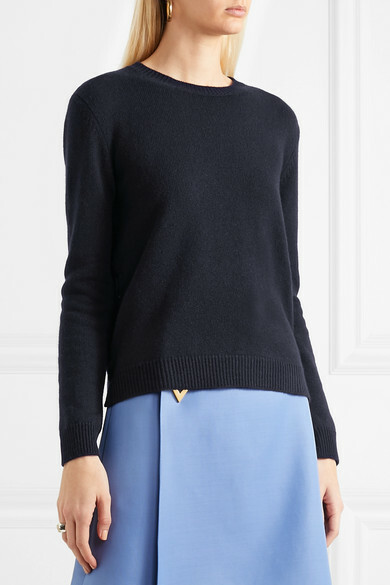 Shown here with: Valentino Skirt, Loewe Shoulder bag, Prada Boots, Laura Lombardi Earrings, Paola Vilas Ring.